Those seeking freedom from their fine lines, wrinkles and deep furrows love the infinite benefits that come from BOTOX® & Dysport® at Spa Trouvé. Both of these treatments contain purified proteins that are used to inhibit muscle movement in the face. The procedure only takes about 15 minutes, allowing patients to return to their daily activities as soon as they leave the spa. Patients are safe in the hands of our expert injectors, who are trained to administer this treatment, safely, quickly and with little pain. To learn more about our experts, please visit our Meet the Team page. 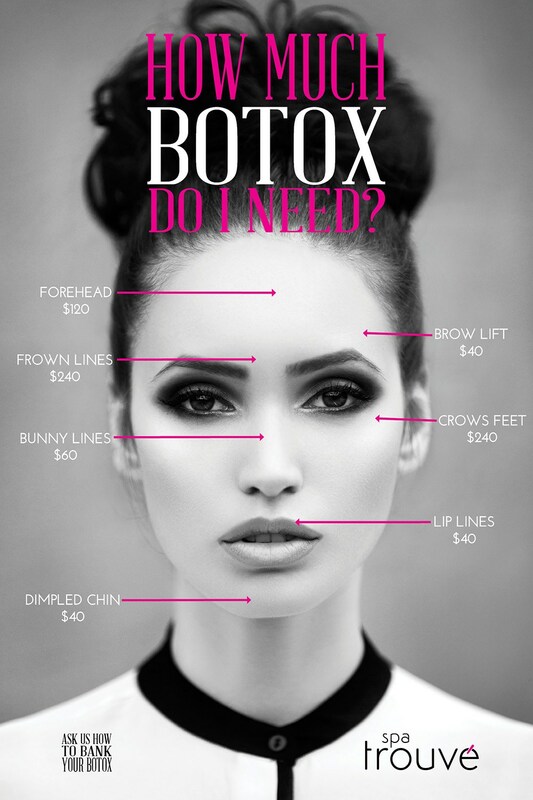 To learn more about BOTOX or Dysport, contact us to schedule your consultation or give us a call!